Great decor for your tropical themed space, pirate room or coastal beach house. 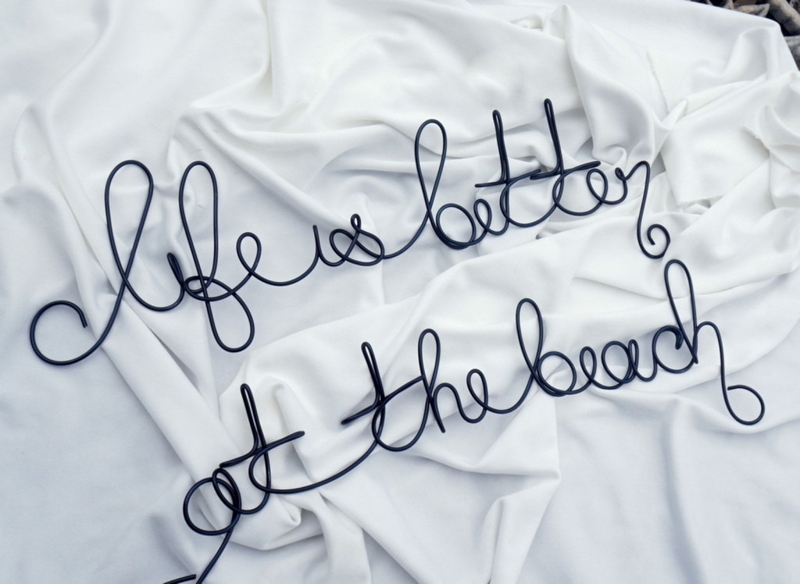 Handcrafted cursive wire "life is better at the beach" wall sign. Composed of two pieces for alignment as you wish. Just perfect for popular beach home decor. Shown in black but can be ordered in brown, copper and silver as well. Need customization? No problem, just send me a message for your quote.